I just got back from beautiful Utah where I gave a number of lectures at the 5th American-Brazilian Aesthetic Meeting. I learned that Baby Boomers rock. Well, of course I knew that, but according to the American Society of Plastic Surgeons (ASPS) study out today, the number of people lifting, injecting and lasering their faces is growing. ASPS says that last year face lifts were up six percent, eyelid lifts up four percent and cheek implants up six percent. 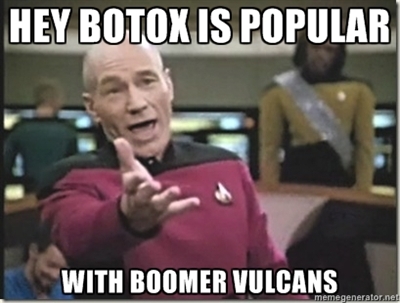 Injectibles were up too, as boomers are finding a fast and easy way to look younger without surgery. can’t join it. Is there anybody elze getting similar RSS issues?